Some people think it might be a problem having to do with imported pine nuts. Or it could also possible have something to do with the fact that some importers might mix old pine nuts in with new pine nuts. The FDA is not sure what the problem is, but in the meantime know that the taste should go away in 1-3 days. Some people have said that Trader Joe's pine nuts might be the problem but there is no definite proof and it might only affect certain people. 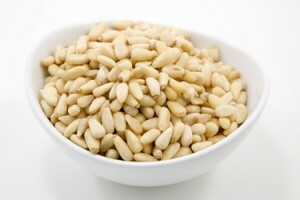 Also another way to help avoid pine mouth is to only buy pine nuts in small quantities. Apparently pine nuts go bad quickly and some people think this is the cause of the metallic bitter taste in mouth. So if you are experiencing this problem and have a metallic taste in your mouth and have also been eating pine nuts recently then don’t worry because the problem should correct itself shortly. You can try washing your mouth out with soap, which might be unpleasant but it might help. Also if you have been using a canned air duster recently then you might want to refer to this other article about the Bitter Taste In Mouth because it can also cause this problem. Hopefully you have found this site helpful and possibly it has stopped you from worrying about the annoying metallic bitter taste in your mouth. Give it some time and it should disappear. However if you haven’t been eating pine nuts or using canned air dusters then you should probably refer to this article because there can be some other serious problems which this symptom is sometimes related to. Another cause of having a bitter taste in mouth is related to pine nuts. Some people have noticed a metallic taste in their mouth after eating pine nuts. So if you have been experiencing a metallic bitter taste in mouth and have eaten pine nuts recently then you might have the answer to the cause of your problem. This problem has recently become known as pine mouth Now all you need is a solution which is probably what you are looking for on this site. Unfortunately the exact cause is not known and there are so many variables that it can be hard to determine what the exact problem is.